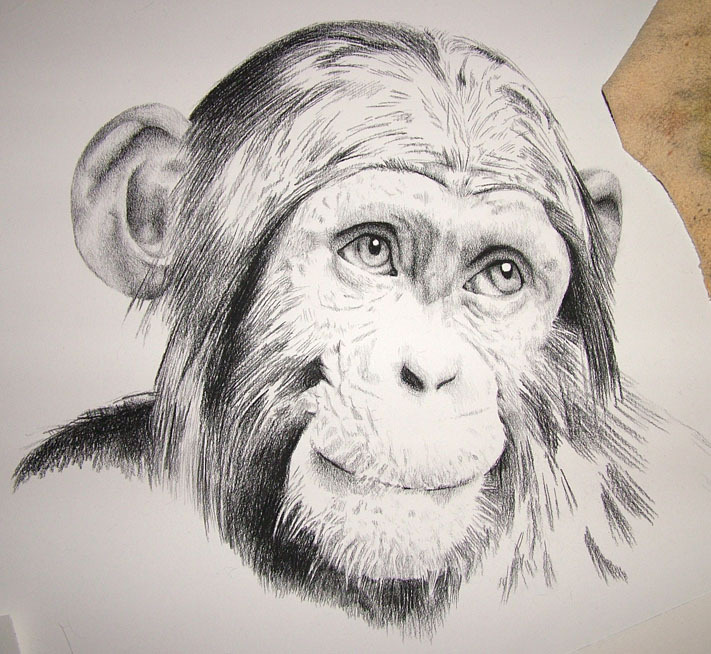 Here update #4 for Mubusu, two year old chimpanzee at our local zoo, he is still coming along at a slower pace than I would like. I want apologize for how long this is taking. I have been struggling with issues from my hand injury from the car accident a year ago or so. And more graphic design and yarn commissions (Ewoks, Houndstooth, Slouchies). On other fronts keep your eye out for some more furry friend portraits another fluffy kitty and two dogs. YEAH!! !